Tenet Partners today is named among the top New York City agencies of 2017 by B2B ratings and research firm Clutch, which uses ongoing research of leading B2B firms in New York to pinpoint the top providers in industries such as, advertising, branding, public relations, social media management, SEO, pay-per-click, digital, mobile app development, and custom software development. Take a look at what clients are saying about Tenet Partners on Clutch.co. 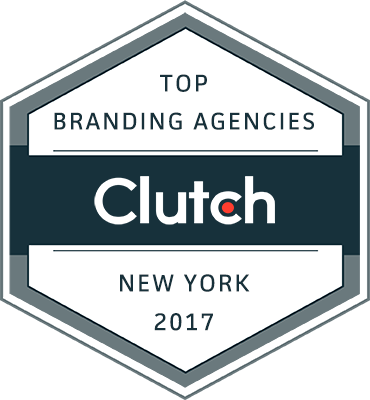 Clutch identified the best agencies and developers in New York based on its long-standing methodology that tracks the industry expertise of service providers against their ability to deliver quality results to clients. Tenet Partners lands a top spot on Clutch’s list of the best branding agencies because of a unique skill that sets the company apart from others. Companies featured on Clutch are evaluated on their market presence as demonstrated by the services they offer, clients they serve, and examples of quality projects they have completed. Also, companies are evaluated by their clients through firsthand interviews conducted by Clutch analysts. These reviews are published on their company profiles on Clutch.co.